The Harlequins co-captain moved to the Stoop in 2015 and he recently completed a degree in Business and Sports Management at the University of Hertfordshire. Fellow Quins team-mate Alex Dombrandt graduated from Cardiff Met less than a year ago before taking the step into the Gallagher Premiership this season and Horwill thinks the sport can do more to help current professionals put plans in place when their rugby careers come to an end. “I think it is vital,” Horwill revealed. “I took a little bit longer than Alex to get my degree! The more chance we get to encourage guys to do something outside of rugby the better. 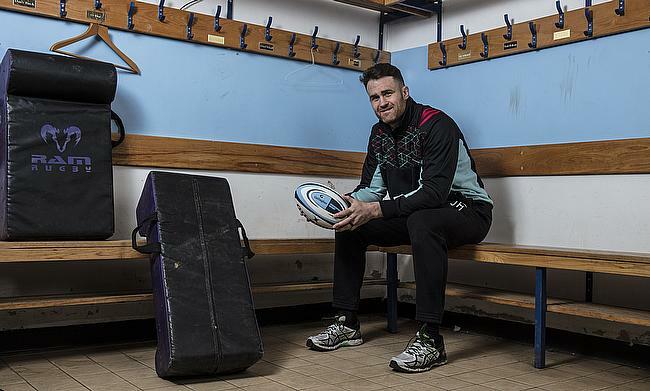 Horwill and Dombrandt are at different stages in their career with qualifications now under their belt and the latter has burst on to the scene in his debut season for Quins. After a storming year in BUCS Super Rugby last season, the lock/back-row has certainly impressed in the Premiership and Horwilll was quick to praise the 21-year-old. “Pre-season was the first time I got to have a look at him,” Horwill said. “He is obviously a very talented rugby player. He is a guy that reads the game well. He doesn’t try to do too much and that helps with his impact on the game. He has been a great find and has been one of the standout, up and coming rising stars of the Premiership. Under the stewardship of Paul Gustard this season, the likes of Dombrandt and other promising Quins youngsters have been able to flourish. Players such as James Lang, Aaron Morris and Gabriel Ibitoye have all been handed great opportunities this term and Horwill paid tribute to the club’s youth. “It is a great environment,” added Horwill, who was speaking at a Gallagher ‘Train with Your Heroes’ event at Chris Robshaw’s old stomping ground, Warlingham RFC Rugby Club. “We have got some good talent and I think Quins has always been a great place to produce and nurture its own young players, which we have done quite successfully and it is a credit to the academy. “At this event this evening, it is great to be giving back to the grassroots. It is the lifeblood of what we do as a game. They are the people who are not only part of the clubs like Warlingham RFC, but also, they are the fans, the people who turn up every week to support the team and also watch the team on TV. While Horwill alludes to the future, the short-term aim will be on a strong finish to the season with Quins. They return to action this weekend against current Premiership champions Saracens at the Olympic Stadium following their disappointing loss to Gloucester last time out. Quins currently occupy third spot in the table and despite their defeat to the Cherry and Whites, Horwill admits their excellent recent form has been helped by some of their international stars being available. He said: “Sometimes you lose games and we weren’t the better side on the day; Gloucester were. I think it was the manner we lost and the things we didn’t get right which was the most disappointing about it. Losses happen and we just weren’t at the races. “We are obviously in third position and we would like to push on to higher honours. It has been great to have more international players around. Guys like Mike [Brown], Joe [Marler], Robbo and Danny [Care], to an extent, have all been able to play their part this season and that is a great asset to the club. The last time Harlequins reached the Premiership play-offs was in 2013-14 and they are in great position to achieve a top four finish this term. After finishing 10th last term, Gustard has certainly steered Quins in the right direction since taking over the reins at the start of the season and Horwill is hoping they push on for the remainder of the campaign. He added: “There has been a great emphasis on the club and Paul has certainly created a change that we probably required and it is now about kicking on with that. “When I first arrived, Conor O’Shea was the coach. We weren’t as consistent and this period in my first season really killed us. We were pushing for top four and all of a sudden, we lost a string of games and weren’t able to kick on. James Horwill was speaking at a Gallagher’s ‘Train with your Heroes’ session at Warlingham RFC after the U10s side won a nationwide competition launched by Gallagher, a passionate community insurance broker and proud title partner of Premiership Rugby.